Illegal armed formations in Donbas opened fire on Ukrainian troops 29 times in the past day, according to the press center of the Ukrainian Anti-Terrorist Operation (ATO) headquarters. Twelve attacks were reported in the Donetsk sector alone. "The occupiers used an 82mm mortar to shell the village of Pisky and the town of Avdiyivka, and a 120mm mortar was used to shell the Butivka coal mine. In addition, they used grenade launchers, machine-guns and small arms to fire on Avdiyivka, and the villages of Verkhniotoretske and Novhorodske. Avdiyivka also came under sniper fire," the ATO HQ said. "There were five instances of the violation of the ceasefire in the Luhansk sector. "The enemy opened fire on the villages of Novozvanivka and Novo-Oleksandrivka, using grenade launchers and small arms. Under-barrel grenade launchers were fired on the village of Stanytsia Luhanska [which is one of the three points for recently agreed disengagement] to provoke backfire," the ATO HQ said. Read alsoUkraine reports 1 KIA, 6 WIA in past 24 hoursFurther, there were 12 attacks on Ukrainian troops in the Mariupol sector. 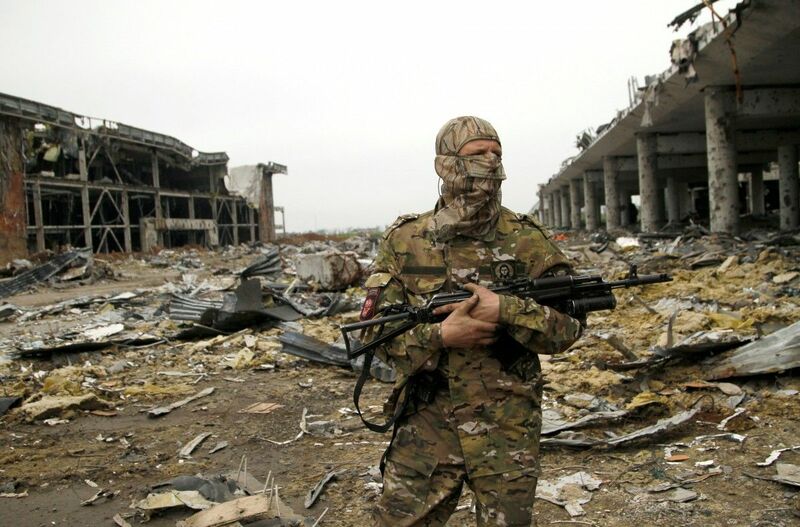 "Mercenaries used small arms, machine-guns and grenade launchers to shell the town of Maryinka, the villages of Novotroyitske, Taramchuk, Pavlopil, Starohnativka, and Shyrokyne. Maryinka also came under sniper fire," the ATO HQ said. Two enemy drones were spotted in the ATO zone in the past day. Despite the provocations, the Armed Forces of Ukraine strictly abide by the Minsk peace agreement, the HQ said.